So exactly how do logbook loans work? If you've heard about logbook or V5 loans and you're interested in borrowing some money against the value of your car, you're probably asking yourself "...but how do logbooks loans work?" The first step is to understand exactly what a logbook loan is, and then you can start to explore how they work in terms of the application and acceptance process. Enter your registration and mileage below and get an instant quote for your logbook loan. If you want to go ahead, our easy online application takes just 5 quick minutes to complete! Arrange a 10 minute meet-up with one of our UK-wide agents to sign your loan agreement. We'll transfer your full loan amount into your bank account – sometimes on the very same day†! 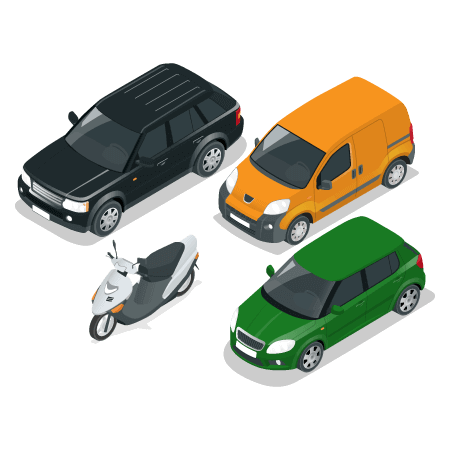 To apply for a logbook loan (or V5 loan), your vehicle must have valid tax, MOT and insurance. Existing finance can be settled. I accept to be contacted about a logbook loan or alternative loan product(s) by preferred partners if Auto Advance are unable to provide me with a loan. How can we best contact you about our products and services in the future? You can expect a call from 01784 424878 within the next 15 minutes# to discuss your quote. * Indicative figure. What is this? The way logbook loans work is really easy, and you don't even need to speak to an advisor throughout the application process if you want to do it all online! After entering your vehicle registration and mileage, you can choose the logbook loan amount and term with affordable instalments. Simply select the loan quote that suits you, and we'll take you straight through to our online loan application form. We'll ask for some basic details from you, such as your name, address and date of birth, and you'll be asked to give us consent to run a credit check. Don't worry if you have a poor credit rating, as we assess our V5 loans on your ability to keep up your repayments, not just on your past borrowing or spending. If we don't require any further information, we'll give you the opportunity to book your appointment with one of our friendly agents there and then – we come to you to make it easier. If we need to see proof of income or bank statements, you can securely and safely upload photos or documents straight from your computer, smartphone or tablet. We're pleased to be part of the new Open Banking service, which allows you to use your online banking facilities to share 'read only' statements encrypted from your bank. By choosing this extremely fast and secure option, we can underwrite your V5 loan within 30 minutes of receiving the documents – making it one of the fastest online loans you can get! You can manage your application and ask any questions you may have throughout the process in a variety of ways, giving you total control. We can assist you via text message, by telephone, email or via our online chat service – so you have the choice of whether you'd like to speak to an advisor or simply message us! At this stage, your logbook loan application is 99% complete! All that's left to do is to arrange a meeting with one of our friendly agents at a time and location convenient to you. During this quick 10 minute meeting, the agent will provide you the Bill of Sale and Fixed Sum Loan Agreement to check and sign, and then you hand over your V5 logbook, which we'll return once the loan is repaid. Once everything is signed and we have your V5 logbook, we'll press the button and finish processing your loan – it really is that easy! The money you've borrowed will soon be in your bank account. In most cases, the funds will arrive within 30 minutes of being transferred following your agent appointment†. This whole process takes just a couple of hours in many cases! So now you know how logbook loans work and the process you follow when you apply for a V5 loan – so if you wish to proceed, you can apply now, or start the quote process using the tool near the top of the page! † Cash within hours: applies to enquiries that are submitted on working days before 2:30pm, whilst allowing for administration, underwriting and processing. However, we are able to process enquiries outside of regular working hours at customers' place of work or household. This is entirely dependant on customers' needs. Authorised and regulated by the Financial Conduct Authority under number 677922 for consumer credit. Auto Advance Logbook Loans is a trading name of DTW Associates Limited, registered in England and Wales under number 05305220. Registered address: Ashford House, 41-45 Church Road, Ashford, Middlesex, TW15 2TQ.